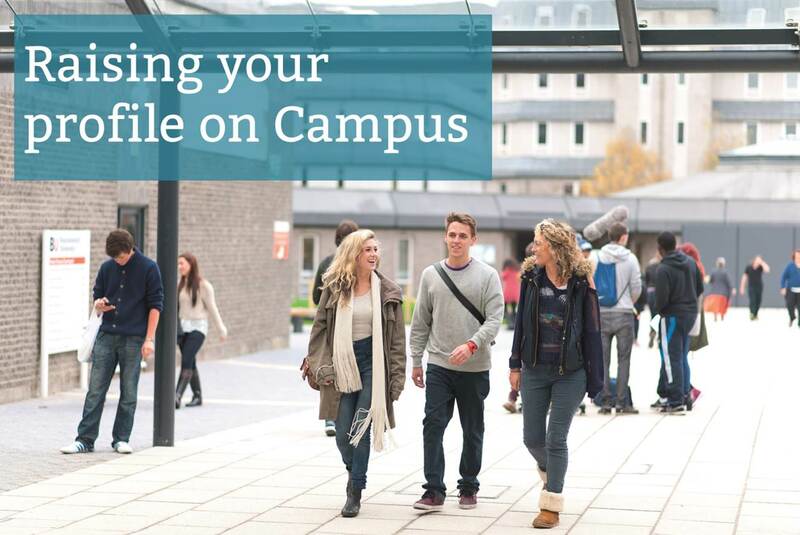 The Careers & Employability Service organise a number of opportunities for employers to come onto campus or tap into our online platforms, to help promote their organisation and opportunities to our students and recent graduates. More information on the individual Careers Fairs can be seen in the left hand menu. The BU Annual Careers Fair is open to BU Students and Graduates seeking information on placements, graduate opportunities, vacation work schemes and alternative options. In October 2018 we welcomed 70 organisations and more than 2,600 students and graduates to our Talbot Campus over two days. Please see the link in the main menu for more information. A new event to promote your ‘live’ or upcoming job vacancies. Created for you as we're aware the timing of the Annual Careers Fair in October doesn’t suit the recruitment timings of every employer. Final year students looking for direct entry roles will also appreciate the timing of this event. With our new cohort of students joining us in September, and returning students on the look out for opportunities, it is the perfect time to secure new staff for your organisation. There is no cost to your organisation to attend. Sectors usually represented: Events, Retail, Catering, Care, Sports Coaching, Teaching. Please email: subuvolunteering@bournemouth.ac.uk to register your interest in their Volunteering Fair. Open to all student and all courses covering general employability topics: CVS, Interviews, Assessment Centres, Personal Branding etc. Suitable for organisations who are looking to employ (or simply give advice to) students from a wide range of courses. Organised alongside an employer for a particular cohort of students, and promoted in collaboration with a lecturer from that course. As well as a group session you could have 1:1 mentoring/speed interviews afterwards if you are recruiting. Promoted as either an advice session or a headhunting exercise as you prefer. Please view the Student GTP Booklet or find out how to get involved here. Via this site you can manage all your vacancies online: graduate level (local or national), part-time, and placements.To register and upload your job description please use the navigation tool bar to the left of this text. Please also read our Top Tips and Terms and Conditions before posting your vacancy. We are happy to share details of external events, recruitment programmes and other opportunities which may be of interest to our students and graduates. Please use @BUJobShop and we will retweet where possible. Alternatively, please email your opportunities to recruit@bournemouth.ac.uk and we will add your post where our tweet schedule allows. Our Students' Union have various opportunities to market your vacancy to Bournemouth University students through their media channels. These include social media, paper advertising and on-Campus promotions.